With his virtuosity in service of musicality and a balanced blend of fineness and expressiveness, for these reasons - and for many other - Alí Arango is widely known as one of the today’s most admired guitar soloists. Guitarist of colossal talent and sensitivity, he has been praised by different audiences and juries around the world, being awarded 23 times, with 11 first prizes in some of the most important festivals, such as the as the Certamen Internacional de Guitarra Miguel Llobet, the Certamen Internacional de Guitarra Clásica Andrés Segovia and the Düsseldorfer Gitarfestival (Germany). 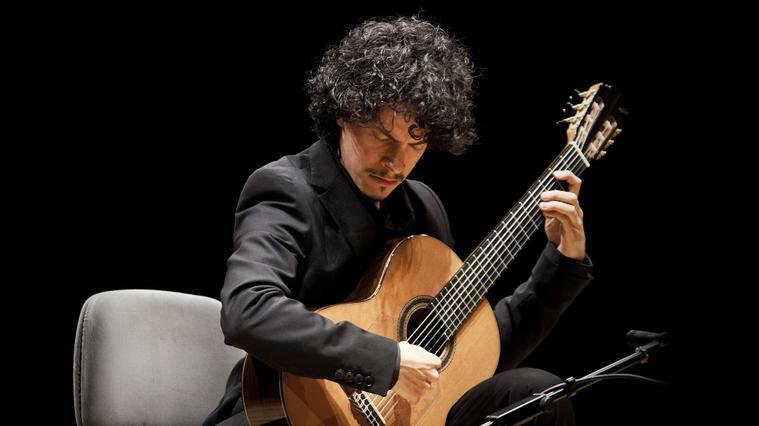 He is also one of the winners of the contest El Primer Palau, organized by the Palau de la Música Catalana, where he returns to offer a recital as part of the cycle Maestros de la Guitarra al Palau.